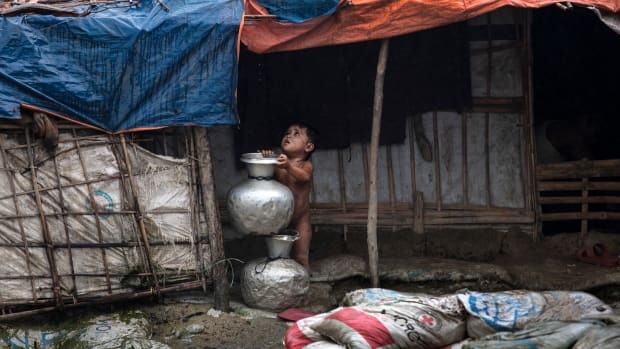 A young child stands under a shelter as monsoon rains hit on August 28th, 2018, in Unchiprang refugee camp, Cox's Bazar, Bangladesh. 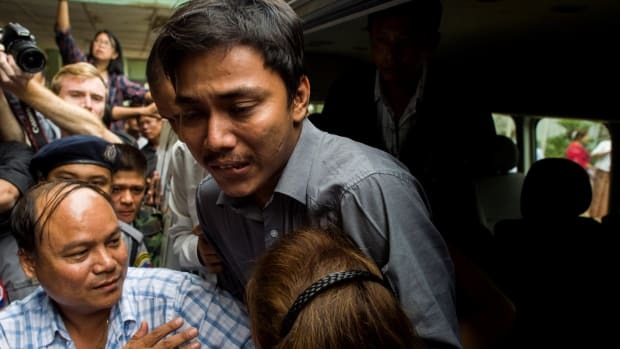 The new sanctions are the toughest U.S. action so far in response to Myanmar's ongoing human rights abuses. 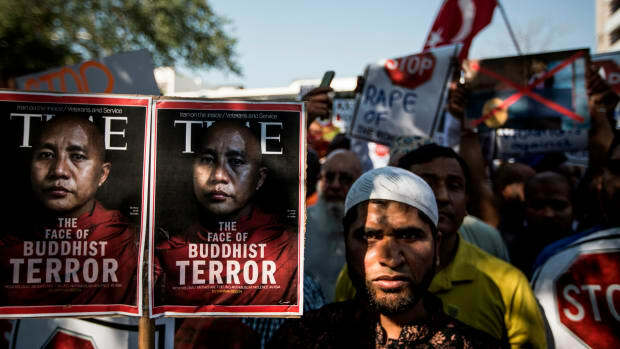 While Facebook must improve its policies in curtailing the spread of hate speech against Muslims in Myanmar, those steps won't address the fundamental drivers of persecution and violence in the region. 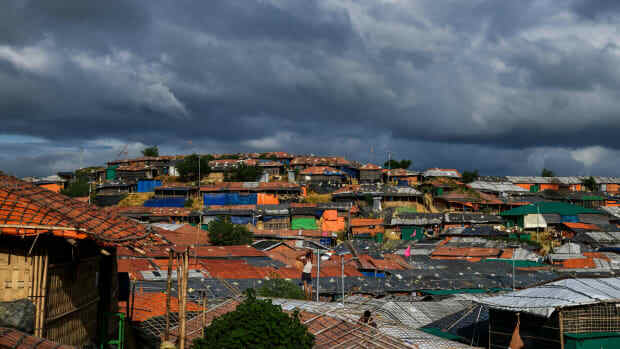 In Chicago, the Rohingya have seen deep communal and governmental support to acclimate to life in the states, and to advocate for their people from abroad. In Milwaukee, the community hopes to follow suit. 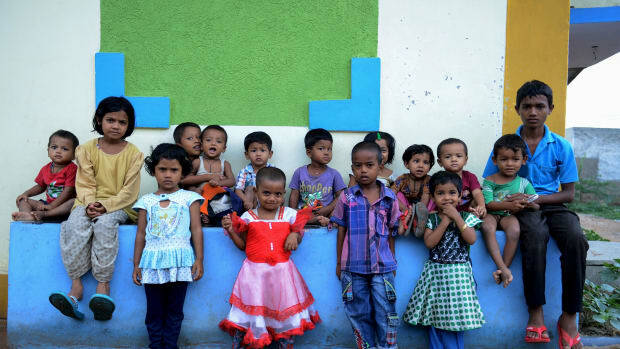 Will India Start Providing Public-Health Services for Refugees? The country is not obligated to provide basic health assistance to refugees, but public opinion is turning against the status quo. 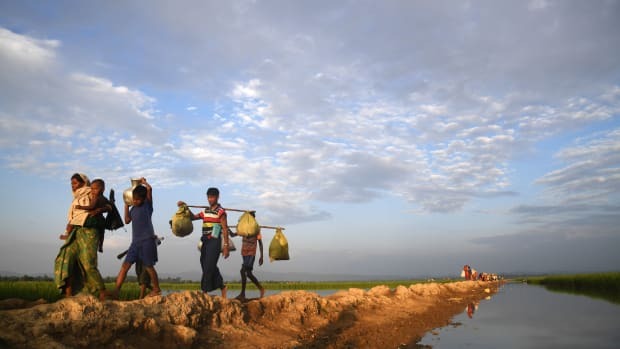 Journalists trying to cover the regime's brutal crackdown against the Rohingya have found themselves in the government's crosshairs. 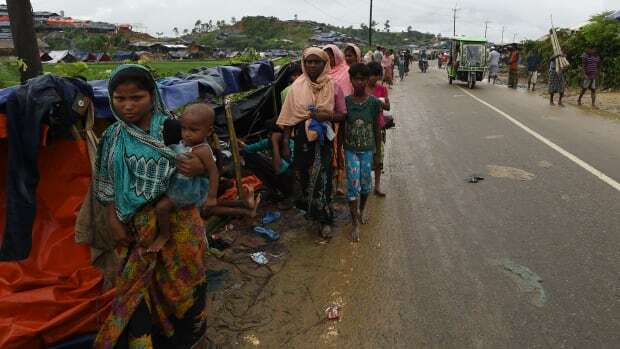 Rohingya Muslim refugees who were stranded after leaving Myanmar walk toward the Balukhali refugee camp in Bangladesh's Ukhia district on November 2nd, 2017. 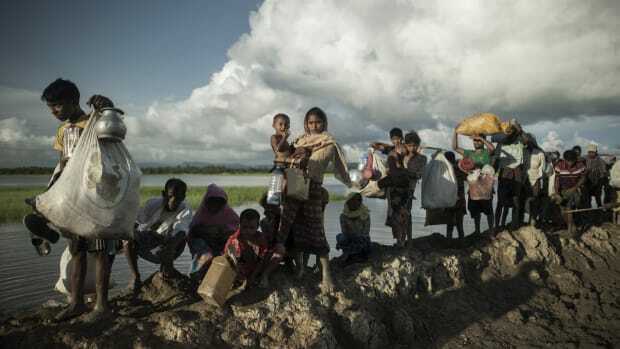 The severity and speed with which the current crisis is escalating threatens to make it the worst flare-up of mass migration the country has seen in decades.